It was the first and last day that we meant. I remember you very well and always will. You were chatty and did not look ill but the cancer was feeding on you. I remember how you talked about the school and friends. You did not shy away when I started the conversation. The doc was going to operate on you and everything would have been alright. But it did not. There was no ‘next day’ for you. Life is unpredictable and unfair. Your last breathe! The memory is still crystal clear: one deep inhale and you were gone. I remember your mother sitting on stairs alone. It wasn’t her but I in front of you during the last breathe. How strange is life! How I had thought in those few seconds to pull you back and not let you go. No medical equipment was able to review you. When you were taken in ICU I saw your parents. She wasn’t crying. She was calm on outside but I could feel her, losing her child. It's such an empowering post that can heal the wounds. It touched the heart. I have felt the energy of someone close to me visiting the month he passed away, Poonam. Love your blog. 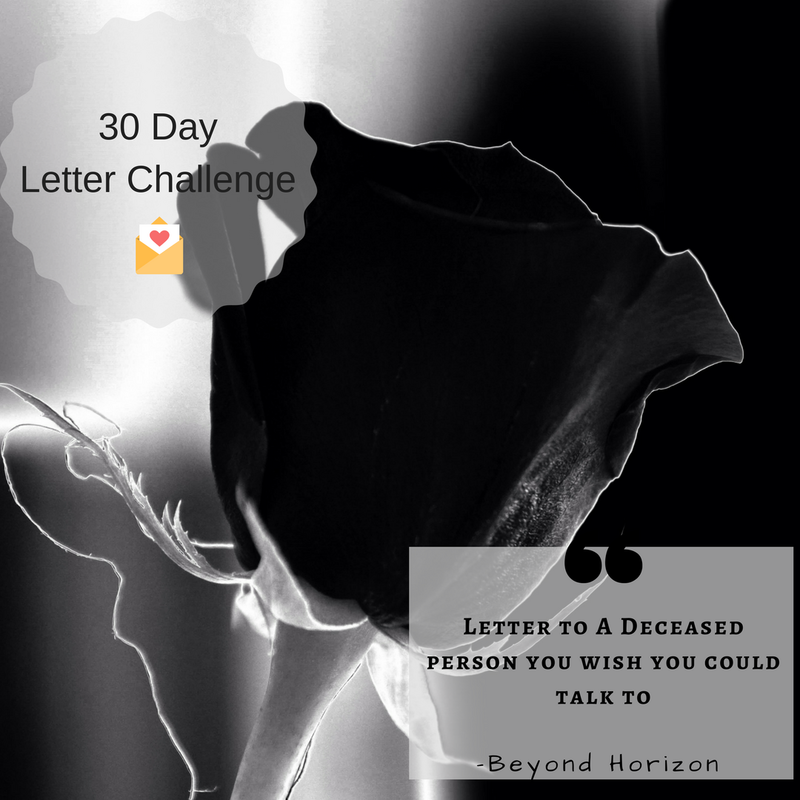 This letter writing challenge is setting the words free trapped inside me. P.S. do send me the link of your blog. I didn't find any in your Google+ profile. This post left me speechless for a while. Probably there is always someone in similar phase as some continue to breath. Fair or unfair it is the rule of the game we are in! "LIVING"